INSPIRED: Artist Belinda Biggs shares her dual loves of painting and travel through painting holidays. 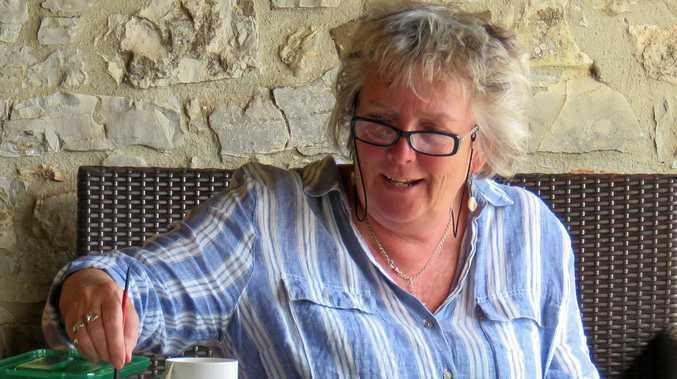 HEARING about Belinda Biggs' life brings to mind images from novels like Under a Tuscan Sky, A Year in Provence and Eat, Pray, Love. The Central Coast artist runs painting holidays and, having recently returned from her first trip to India, is already taking bookings for the next trip there in March next year, and her fourth to Italy in June-July, where she will be artist in residence. In the meantime she has stayed a little closer to home, with one of the trips that started it all nine years ago, a week on Norfolk Island earlier this month. Past painting destinations to which she plans future trips include France, New Zealand and the Cook Islands. "I love travelling, and when I go to new places I'm inspired by them and I want to share that with other people," Belinda said. The colours, the countryside, people, architecture, sights, sounds and smells, Belinda said, all had to be experienced. 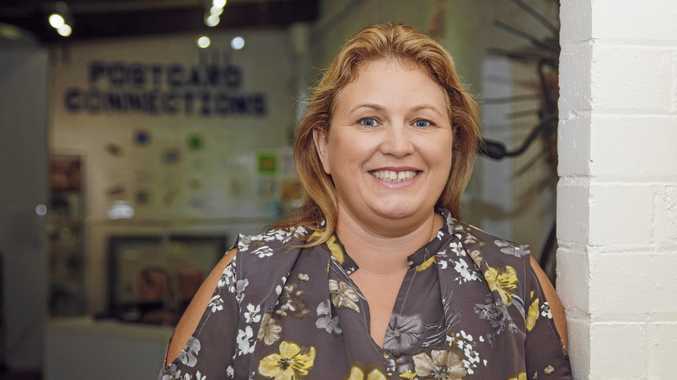 The teaching adventure began for Belinda about 21 years ago, when she attended art classes at Wyong Community College and her tutor turned out to be none other than highly acclaimed Tuggerah Lakes Art Society founder Robert Doyle. Not only did he give her the breakthrough confidence to believe in her art, but then recommended her to take over his teaching position at Tuggerah Lakes Community College, where she has now taught for 17 years, as well as running private classes, 1-2-day workshops, and her painting holidays. 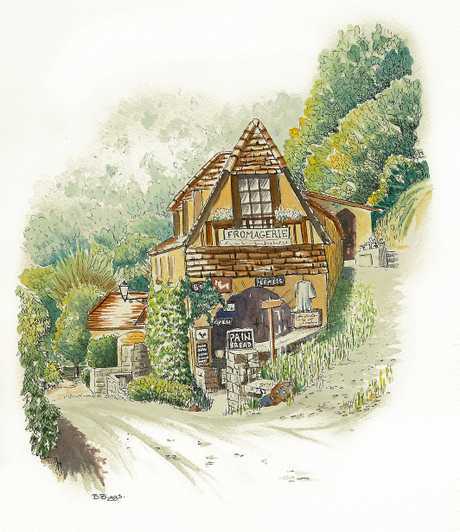 Belinda's great loves are watercolour, graphite, colour pencil and pen and wash, although she also dabbles in pastels and oils, and she teaches everyone from beginners to experienced artists, from 18 to 80 years old. "Once people come to my classes they tend to stay," Belinda said, adding that her longest-standing student had been with her for 17 years. Her painting holidays are limited to 10 artists, and their non-painting partners if they wish, and she said there was plenty of eating, drinking and sightseeing activities as well as painting and drawing. The 16-night India trip includes Udaipur, Delhi, Jim's Jungle Retreat and the Himalayas, while in Italy you stay in a beautiful 200-year-old 12-bed villa on 200 acres in Umbria for 7 days, combining painting, drawing and etching with writing, photography and cooking. Long panel of 5 different sari pics in watercolour India. While Belinda's work is in public and private collections around the world, her proudest credit is selection for the prestigious Focus on Nature XIII at the New York State Museum, where her painting of a NSW waratah remains in the permanent collection. But she is a firm believer that everyone is an artist and, having had one student start with her at 80 after a life on the land, "you're never too old to learn". "You have to remember that when we were little kids, everyone could paint and draw with great enthusiasm; it's just at some stage someone's told you 'trees aren't meant to be blue' or something similar, and your confidence has disappeared," she said. For more details about Belinda's painting holidays, go to belindabiggs.com.